Part-funded by the European Regional Development Fund (ERDF) and managed by IfM Education and Consultancy Services (IfM ECS), the programme is aimed at helping local SMEs and start-ups to grow, become more sustainable and create new jobs. Local SMEs have been helped in a number of ways, including developing their business strategy, making their production and operations more sustainable, and determining the most appropriate markets and products for their business. Molecular Dimensions currently has 12 members of staff and develops and commercialises innovative protein crystallography product ideas from research institutes such as Imperial College, MRC Laboratory of Molecular Biology and Netherland Cancer Institute, which it then supplies to researchers around the world. “An important benefit of engaging with the PrISMS programme was being able to use recognised business tools underpinned by years of research, which increased overall efficiency of the procedures adopted. The company is headquartered in Ely, Cambridgeshire and currently has 50 employees. 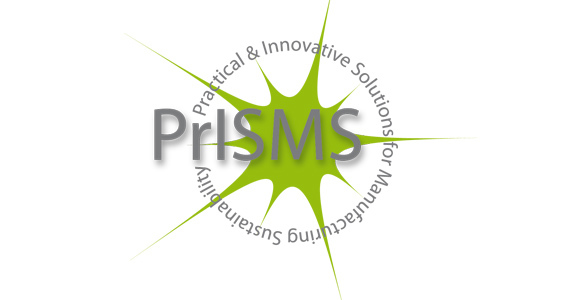 PrISMS started in July 2012 as a three-year programme to create sustainable growth among SMEs and start-ups in the East of England. Managed and delivered by IfM ECS, which bases its methods on the outcome of research undertaken by the University of Cambridge Institute for Manufacturing (IfM), it aims to provide up to 70 SMEs and 50 start-ups with fully-funded support. The programme is jointly funded by ERDF, the EPSRC Centre for Innovative Manufacturing in Industrial Sustainability, ideaSpace, IfM ECS and local councils. A year on, it has already successfully met or exceeded several of its targets. In particular, it has surpassed the number of innovation and non-innovation initiatives it aimed to take up with regional companies – these include strategy development, business process improvements, reduction of energy and water consumption and helping to create strategies for product innovation. As a result, PrISMS has become one of ERDF’s flagship programmes.